Recently we added a brand-spanking new forums theme to our already awesome forums here at AC. It was designed to bring you as much functionality as possible, while providing a clean, clear mobile experience. It's a tough balancing act for sure, but we think you'll agree the new theme is leaps-and-bounds ahead of our old one! Below is a quick walkthrough of the theme. 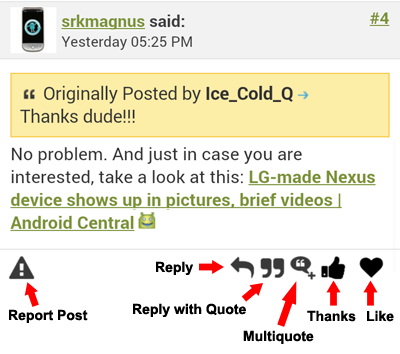 To try it out for yourself, hit up forums.androidcentral.com from your mobile device... and if you aren't directed to this theme, select 'New Mobile Style [BETA]' from the theme switcher at the bottom of the page. 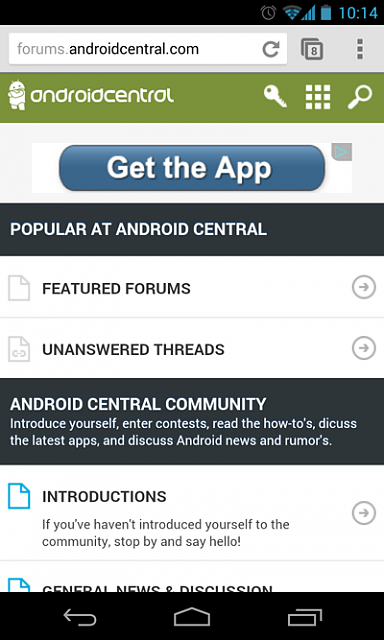 The forums home page is a trimmed-up version of what you're used to on the full Android Central forums experience. 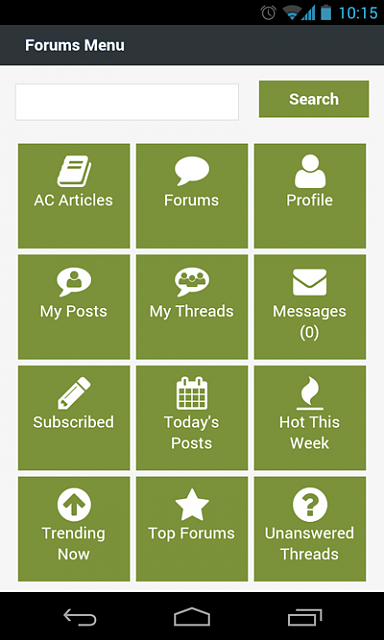 The top-level forums are all displayed here, and you'll need to tap into a forum to reveal sub-forums. The most important thing here is the three icons at the top right. That 'key' looking icon will take you to the login screen where you can login with your username and pass. The second icon is the new 'menu' icon. Tapping it will reveal a menu, full of all sorts of goodies. The third is a search icon. Tapping this reveals a powerful search. It's also important to note, that after you login, any notifications are shown right in the header bar, where the 'login' icon used to be (before you logged in). Tap the notification to see the item that needs your attention. I encourage you to tap around and get used to navigating your way around on your mobile device. It's really not hard at all, but spending 5 minutes to get used to it is a good idea. A good place to start is the 'menu' screen. You see that button with the 9 little squares up above? Tap that. This will take you to the menu screen (pictured below) where you can view the latest articles, check out your profile, view your posts & threads, private messages, and a whole lot more. 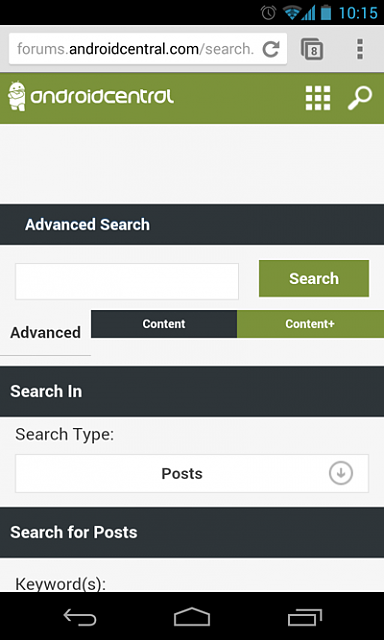 As mentioned earlier, tapping the search icon at the top right reveals a powerful forums search. Use is fairly explanatory, but if you find you're having a hard time finding what you need, please do get in touch with me, and I'll be happy to help. ...and of course, at the top and bottom of a thread you can always find the 'reply to thread' and 'subscribe' buttons. Use these to reply to the thread, or add the thread to your subscriptions. Waaaaay down at the bottom you'll notice our new footer. There are quick links to ALL of our community forums here, but there are also some other key links, namely the 'Log Out', 'Full Site', 'Get the App' and 'Top' links. The Log Out link will log you out of your Passport account. 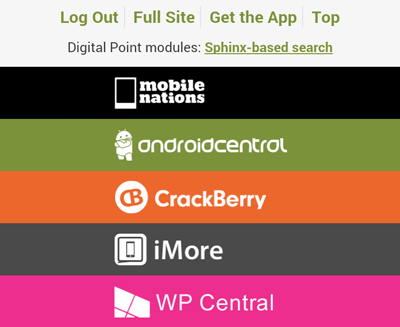 The Full Site link will switch you out of the new mobile theme, and revert you back to the default 'full' site experience. ...and Top will take you back to the top of the page. That pretty much wraps up the overview! If you have any questions or concerns about this mobile theme (or anything else), feel free to hit me up anytime. I'm here to help! srkmagnus and Cheryl Correll like this. Wifi Hotspot available with T-Mobile plan on Nexus 7?